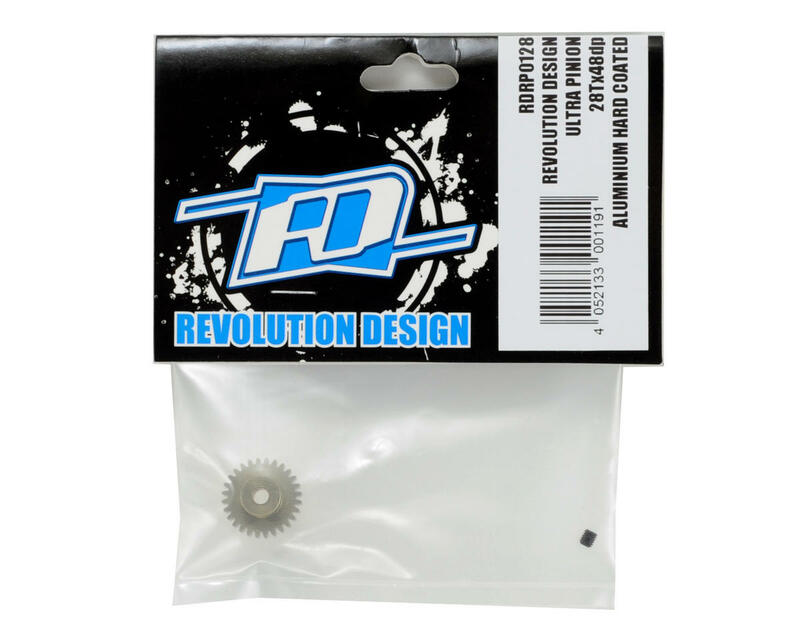 Revolution Design Racing Products 48 Pitch, Aluminum Hard Coated Ultra Pinion Gears feature a lightweight design and precision cut teeth that will help to reduce running noise and increase the efficiency of the drivetrain for improved overall performance. 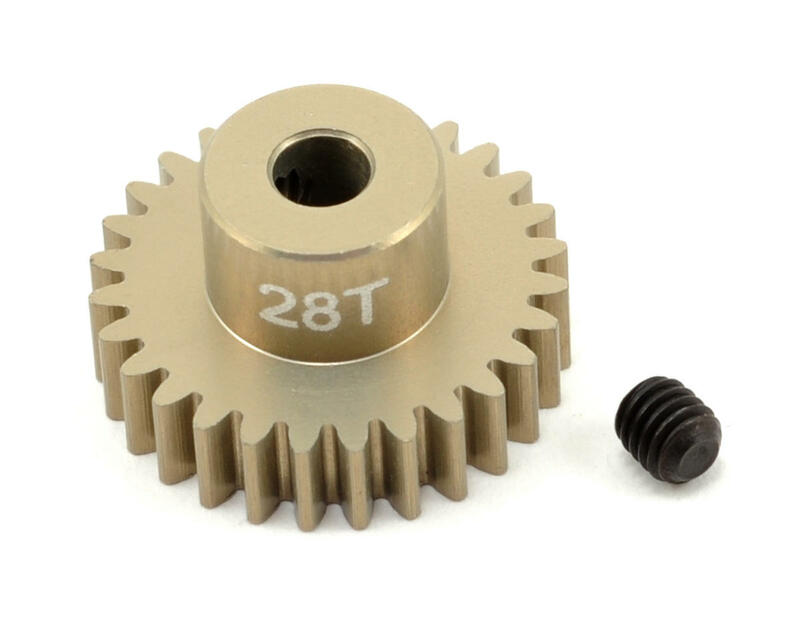 Each pinion is CNC-cut from high quality 7075-T6 aluminum, hard coated and laser-etched to deliver long lasting durability, easy tooth count identification and performance that is on par with any other pinion gear out there. Pair these up with the 7075-T6 aluminum RDRP Ultra Pinion Holder! This will allow you to conveniently store, organize and access up to 16 pinion gears from 15T to 30T, and is the perfect compliment to the RDRP Ultra Pinion Gears.